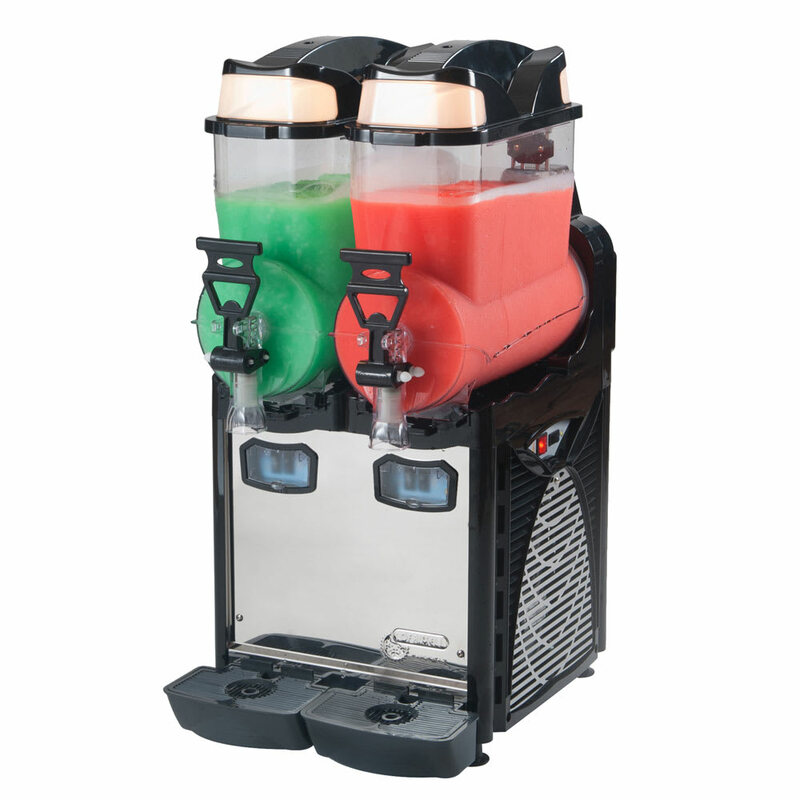 The Eurodib OASIS2 frozen drink machine can hold two different slush flavors since it has two 2.6-gallon hoppers. The dispensing system is simple to use, and the compressor is air cooled. Since the chassis and panels are made of stainless steel and plastic, they resist corrosion and bending. The tank can be taken apart and put back together without tools. 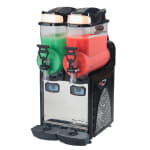 You can read more about these units in the explainer for frozen drink machines.